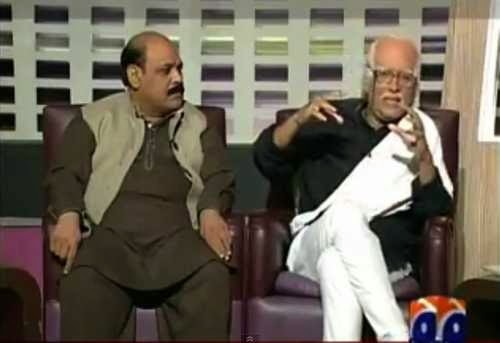 Watch geo news Khabar Naak latest full episode 1st January 2015, Watch best of khabar naak. Famous producer & writer Anwar Maqsood Sahib as Danishwar sahib and a local theater film producer dummy are the chief guest of this episode. The role of media related to Peshawar attack. Khabar Naak is a infotainment program broadcast by Geo news TV Pakistan which is widely watched in local and international community of Pakistani's. Watch Geo news with Aftab Iqbal, Mir Muhammad Ali, Honey Albela, Saleem Albela, Mater sahib, Wajid Khan, Naseer bhai challenge, Master sahib, Roobi Anam and Sophia Mirza.